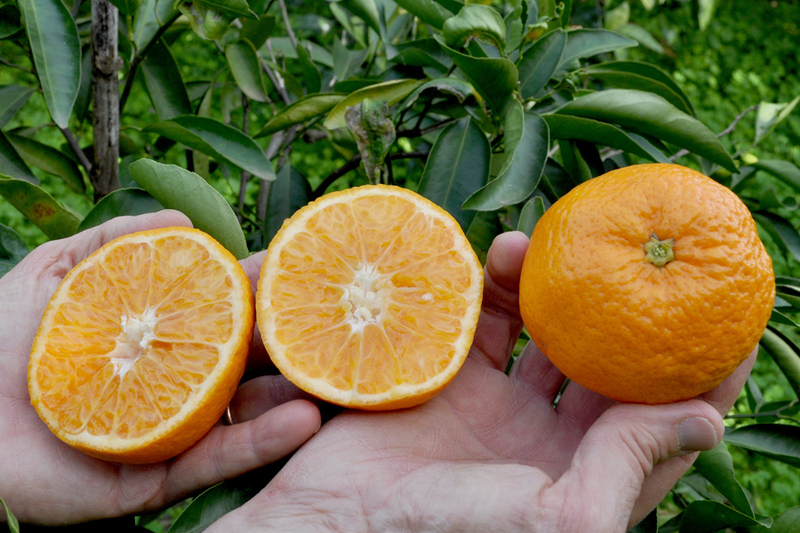 The primosole is a hybrid of the Carvalhais tangerine and the satsuma Miho that was selected by the University of Catania in the 1980s. It most likely surpasses both its parents in quality and has the great advantage of being very precocious, in fact in Sicily it is harvested before the end of September. The average weight of this fruit is about 150 grams, it does not have seeds, the peel is a deep orange color and thin, and easy to remove. The taste is pleasant, but not comparable to the Nova, and the fruit owes its success primarily to its precociousness. It often ripens multiple blossoms hence the harvest can occur throughout all of October. It is best not to go too far with this harvest because the fruits have the tendency to become dry. Our agricultural producers cultivate about 600 of these trees in the area of Carlentini, production is abundant and, considering the scarce stamina of this tree, the harvest turns out to be somewhat expensive due to the fact that it occurs in multiple cycles, as the fruits continue to ripen. The fertilization is the same as for other citruses, meaning well seasoned compost, residue and mulching with hay and straw. 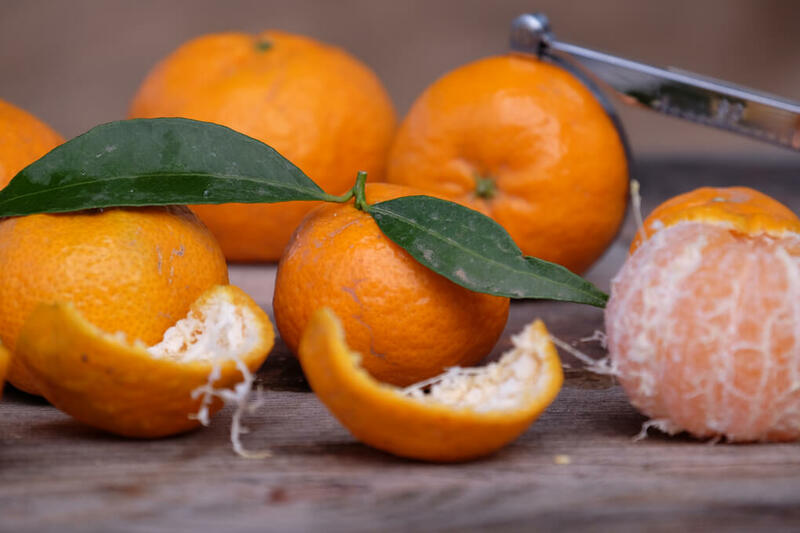 As other clementines and mandarins, the Primosole is a very resistant fruit, easy to peel, without seeds, and with slices that easily separate, without breaking. This makes the Primosole very efficient for being brought to work, school or carried around anywhere. It can be carried directly in your bag, that is if you do not worry about the aroma that comes from its essential oils. 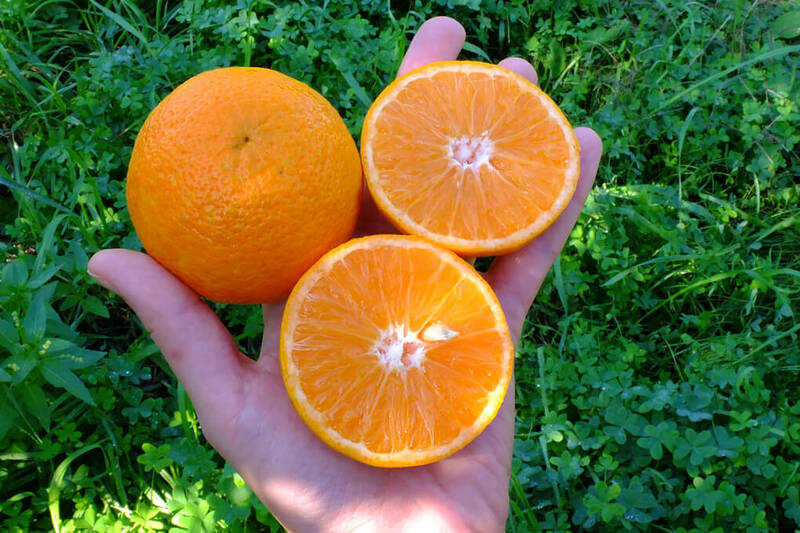 These types of clementines, which we summarize with the name “Nova” and which the Spanish call “clemenvilla”, are hybrids from the 1940s, obtained in Florida by crossing common clementines with the Orlando tangelo. The fruit has very few or no seeds, the peel is thin, easy to peel and of an intense orange color. The fruit weighs from 100 to 180 grams. It is a very popular fruit both because it is without seeds and because it is very sweet and juicy, with an intense and pleasant taste. The Nova is produced by different farms in our network, and different microclimates are used to guarantee a greater period of availability which allows us to offer the fruit from the end of November through to April. The Nova is a plant that does not develop much in size, hence trees can be planted rather densely, though we try not to exaggerate and risk not having enough light reach the plants. Like all of our citruses, the Nova is organically produced, pruned manually, and fertilized with well seasoned compost leguminous plant associations. The “femminello” lemon from Syracuse blossoms every 40 days, which means the fruits are available all year round. However, depending on the season and the climate conditions, throughout the different blossoming periods, the fruits take on different shapes and appearances. 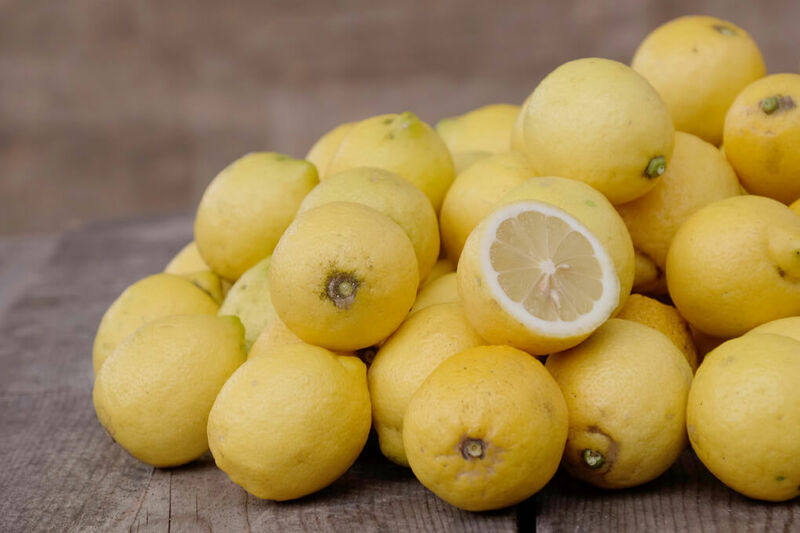 The lemon that is harvested from November to February (winter) has the name “primofiore”, it is oval shaped, has a “nose” at the extremity, and its color ranges from light green to citrus yellow. 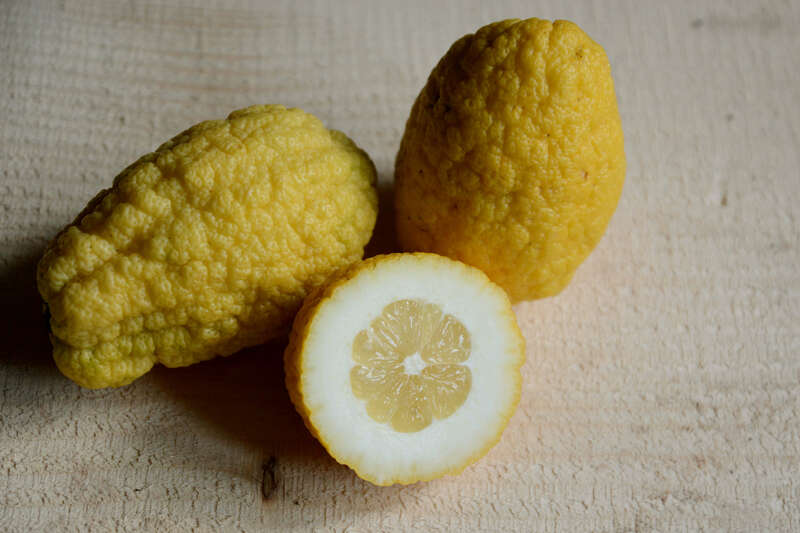 The spring lemon (from April to June) is called “bianchetto” or “maiolino”, it is oval shaped, and the color ranges from citrus yellow to white. The summer lemon (July to October) is called “verdello”; with the heat the skin remains green, and it has a round shape. The salad lemon is also known as “piritto” due to its elongated shape (like a pear), and its full name is “Piritto of Spatafora” lemon. It is a lemon variety with a pulp that is similar to other lemons, while the white part is exceptionally thick and sweet. This characteristic compensates the sour taste of the fruit, making it easily edible, also in salads. This harvest begins in the end of November and finishes in April. The fruit is harvested a little bit at a time, as it takes on more color, which makes it available every week, until it runs out. 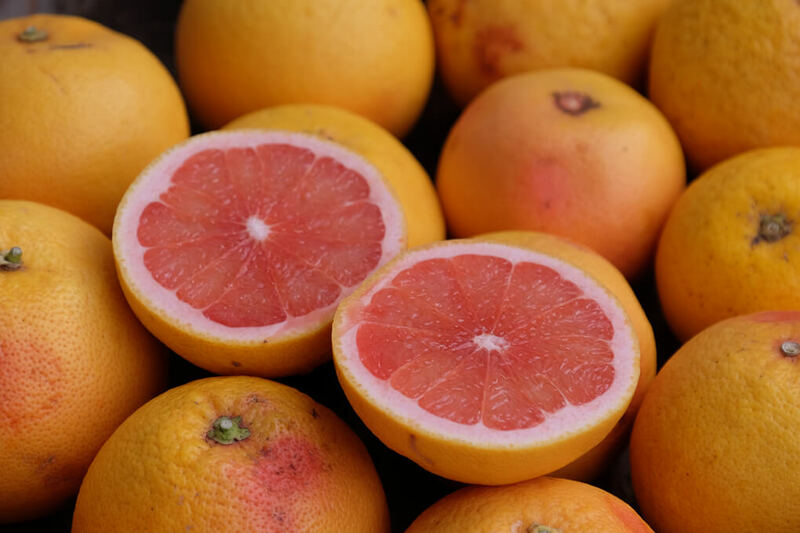 The pink grapefruit is a spontaneous maturation of the yellow grapefruit which was discovered in Texas in the 1930s, while the “star ruby” variety dates back to the 1970s. The fruit is very large, and one piece can weigh up to half a kilo. The pulp is an intense pink color, juicy, with a typically somewhat sour taste. The nutritional properties are numerous and often talked about as the detoxifying properties of the fruit are so pronounced that they can at times neutralize the actions of certain medicines (we invite you to learn more about this on your own). The fruits ripen progressively on the trees and we pick them little by little, starting in December, going up to the end of April. We cultivate about 350 young grafts of this variety. Unfortunately, with little long-term vision, we grafted them on the sour orange trees, which means that, sooner or later, the “tristeza” disease will force us to uproot them. We are planning to plant new trees as this is a very likeable, sought after fruit. This mandarin takes its name from the Palermo suburb in which it was discovered. It is a late variety in comparison to common mandarins. It is not born from the crossbreed of different citruses, as is usually the case, and has natural origins. It is distinguished by its strong aroma, its thin peel, and high content sugars. As the majority of endemic mandarin varieties, it contains seeds. Excellent to eat in slices, and the particularly aromatic peel can also be used for the preparation of different dishes.